Last year right around this time, San Francisco player Andrei Massenkoff traveled to Pittsburgh, PA and won the Professional Amateur Pinball Association’s (PAPA) World Championship tournament. 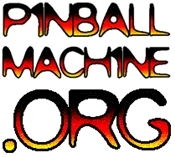 This 4-day annual event is the most respected tournament in all of pinball and drew nearly 500 competitors from around the world. PAPA 15 begins this Thursday, August 9th, and you can check out live standings on their website: http://papa.org and blog: http://papa.org/blog/. The most exciting part of the tournament – the Finals – will happen on Sunday. As a teaser to the big event this weekend, the PAPA team has been feeding the pinball public a steady diet of footage from last year’s tournament via their blog. Here are games one and two of the Final Four match-up. See just how Andrei pulled off his championship win!